The UH9060 is the latest CB Radio in the Trade Quality Professional Series of UHF Radios. This compact and durable mobile radio provides the best communication on road while keeping you connected even in the most remote locations. The UH9060 is a remote head UHF Mobile with large LCD Display solution ideal for drivers of 4WD and Motorhomes where size is an issue. The Remote head unit can be mounted on the roof or dash of inside the vehicle and features Instant Replay allowing you to record and replay up to one minute of recent received signals ensuring important transmissions are not missed. What makes the UH9060’s unique is the innovative Smart Mic Technology. Smart Mic Technology is equipped with a 3-Way Smart Key and Built-in Dynamic speaker. With a front face speaker in the microphone and a speaker in the base you will receive optimum voice quality ensuring you never miss a transmission. The UH9060 is also equipped with the latest technology “Voice Enhancer”. 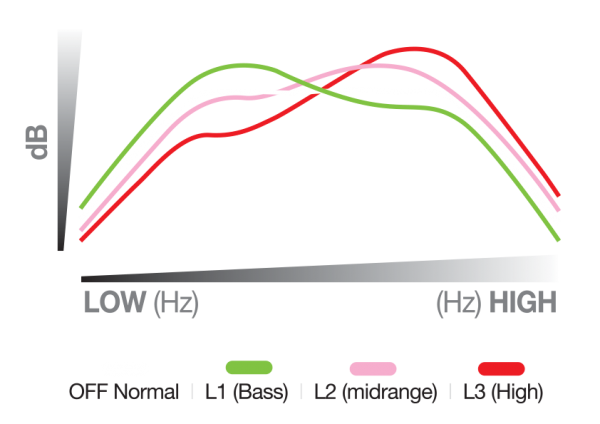 Voice Enhancer allows you to choose from 4 different audio settings (Normal, Bass, Mid-Range and High) to provide a Natural Voice Enhancer for performance second to none. The unit has a Remote Speaker Microphone with a built-in Large LCD Backlit Screen, which allows you to control all functions and features remotely, including volume and Power On/Off. Choose from 7 backlit display colours and 3 brightness levels for easy viewing at night, low light situations or just to suit your personal preference. This unit also features Instant Channel Programming and Recall at the touch of a button which is located on the MIC. Built for rugged Australian and New Zealand conditions, the UH9060 compact size makes it ideal for the truck drivers, 4WD Drivers, and Caravan Drivers where it can be installed anywhere in the vehicle. Uniden’s reliability and experience in UHF makes this unit ideal for the professionals who needs to keep in touch with the outside world. The CB Radio is also 12 / 24 voltage compatible meaning the CB radio can be installed in almost any vehicle. 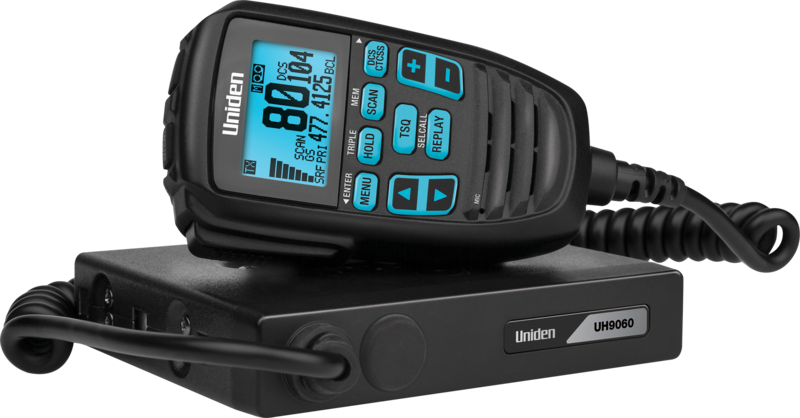 The UH9060 is a 5W CB Radio with built MasterScan® technology allowing you to seamlessly communicate on not just one channel but a group of channels. If your current channel is interrupted by others outside the of the group, all radios in your group will automatically hop to a new clear channel allowing for seamless uninterrupted communication to continue.